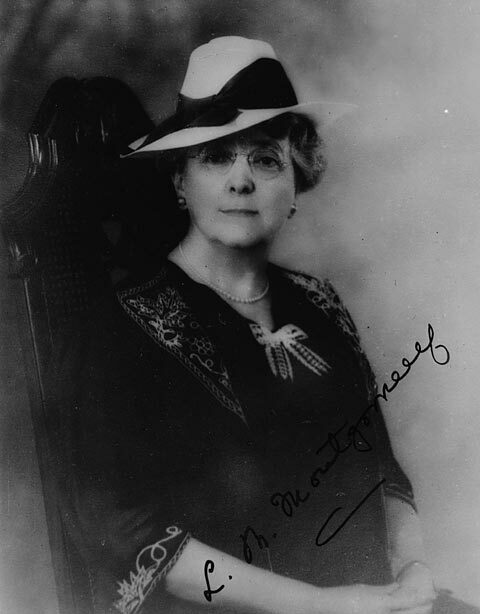 Lucy Maud Montgomery MacDonald (1874-1942) is one of Canada's best known and most enduring authors. Her family always called her “Maud”. She was born on November 30, 1874, in Clifton, Prince Edward Island. Her father, Hugh Montgomery, was a former sea captain who later became a merchant. 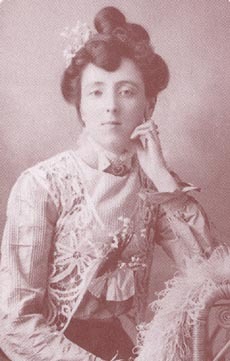 Her mother was Clara Macneill Montgomery born of a large and prominent family in Prince Edward Island. Clara died when Maud was two years old. Stricken by grief, and unable to care for his toddler daughter, her father sent Maud to live with her strict and elderly maternal grandparents at their isolated farmhouse in Cavendish, Prince Edward Island. Young Maud was a lonely child, perceptive, creative, and a little out of her element living with her Presbyterian grandparents. She lost herself in books and loved to read Dickens, Scott, Byron, and Longfellow. She wrote stories and poems in her leisure from a very early age. Maud loved to spend time with her cousins and school chums. In 1890, after her father remarried, he invited her father to live with him and his new family in Prince Albert, Saskatchewan, where she experience life in the Canadian prairies. But things weren’t easy and she had difficulty getting along with her stepmother who expected her to work as an unpaid maid and nanny and was often prevented from attending school. Her busy father turned a blind eye to the domestic problems. During these difficult years, Maud found solace in many new friendships. 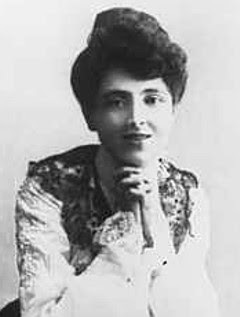 In November of 1890, one of her poems was published in the Charlottetown, Prince Edward Island, Daily Patriot. Lucy returned to Prince Edward Island in August 1891 where she prepared for a teaching career by attending the Prince of Wales College. After graduation, she taught in rural schools for three years. Unfortunately she found the work challenging and not as satisfying as she thought it would be. While she taught, she managed to write for several hours each day. By the mid-1890s she had several more stories and poems published for money. Smart, sassy, ambitious, and wilful, Maud was every bit a girl of her times. She loved beautiful clothes and was proud of her feminine figure. Like any pretty girl of a young age, she enjoyed the admiration of men. Maud believed in the sanctity of marriage and she looked forward to one day marrying and having children of her own. She wanted an educated husband with a romantic nature. In 1897 she fell in love and was betrothed to a handsome young man, but she soon became disillusioned with him. During this engagement, she became involved with another young man, less suitable, but whom she believed she loved, even though she knew she could never marry him. As a result, several months later, she found herself single again and a little disillusioned with love. When her grandfather died in 1898, she went to live and care for her aging grandmother in Cavendish. During the next 13 years, although her life there was restricted, she wrote more stories and poems which provided her with a comfortable income. In 1907 Maud's previously rejected first novel was accepted by a publisher. Anne of Green Gables, the appealing story of an imaginative, irrepressible, red-headed orphan girl who was adopted by two elderly Prince Edward Islanders was published by the L.C. Page Company of Boston in 1908. Eight more Anne books followed. 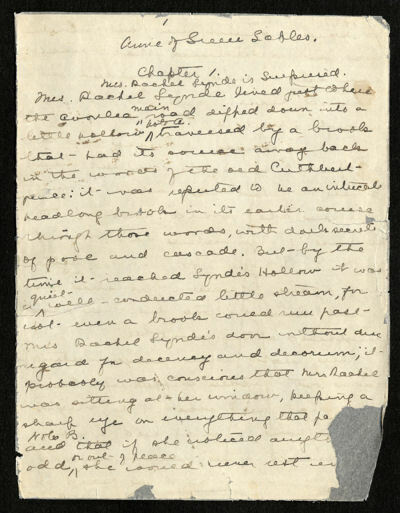 After her grandmother died in March 1911, she married Ewan MacDonald, an attractive, amiable, conscientious Presbyterian minister to whom she had been secretly engaged for five years. The lovers honeymooned in the British Isles then returned to Canada. Maud struggled with her new role as a minister's wife which involved endless rounds of meetings, sewing bees, Sunday school classes, choir practice, and visits. But she performed these duties with herself temperamentally unsuited to them, Maud, with her keen sense of duty, performed them without complaint. In 1912 she gave birth to her first son, Chester and in 1915, a second son named Stuart. Throughout the early years of motherhood, she continued to write even though she felt strained and exhausted. World War I was a source of great concern to Maud. Afterwards, she endured even more hardships. In January 1919 her cousin and closest friend, Frederica Campbell, died. Later tha same year her husband suffered an attack of what was termed "religious melancholia," a depression and feeling of hopelessness and certainty of eternal damnation. Worried that her children might inherit a smiliar mental illness, she sought medical help in Toronto and in Boston, but with little success. Soon Ewan recovered, but he continued to suffer attacks of depression at irregular and random intervals for the rest of his life. Maud fretted continually over his health and experienced a great deal of anxiety. It didn’t help matters that she soon became engaged in a series of bitter, expensive, and difficult lawsuits with her publisher L.C. Page. The lawsuits dragged on until 1929 when Maud finally won. In 1926 the family moved to Norval, Ontario, where Ewan became the minister of a smaller and friendlier congregation. 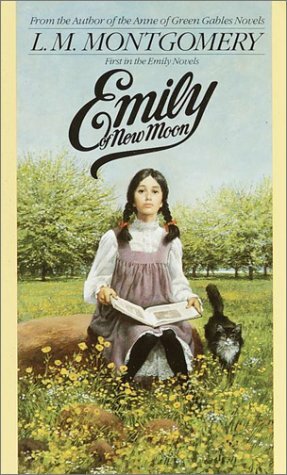 Maud created a new, highly autobiographical heroine, Emily of New Moon. These books proved to almost as popular as her Anne books. Maud became the first Canadian woman to be named a fellow of the Royal Society of Arts in England. In August 1927 she was invited to meet the visiting Prince of Wales (the future Edward VIII) and the British prime minister, Stanley Baldwin. By the 1930s Maud wrote several new books. She was invested with the Order of the British Empire in 1935. 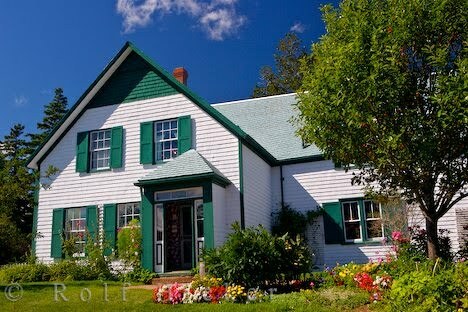 A year later, the Canadian government created a national park on Prince Edward Island in and around Cavendish because of the fame of her books and the interest that had drawn to the area. Her husband’s health began to fail. In 1935, he suffered a complete breakdown and was institutionalized. Although he slowly got better, overwhelmed by stress, Maud broke down too. In 1935 Ewan retired, and they moved to Toronto, where their sons attended college. Both Maud and her husband suffered further breakdowns in 1937, from which they both recovered. In the spring of 1939 Maud wrote that she felt better than she had in years. This feeling of well-being was not to last, however. At the outbreak of World War II she fell into another depression. Her husband’s declined, and, after a bad fall in 1940, Maud became very ill. Her condition worsened in 1941, and she died on April 24, 1942. It was reported that she died of congestive heart failure in Toronto. But her granddaughter, Kate Macdonald Butler, revealed the truth about Maud’s depression, likely as a result of caring for her mentally ill husband for decades. It was speculated that Maud actually died of a drug overdose. The note that was found with her at her death was either a suicide note or a journal entry. The truth will never be known. "This copy is unfinished and never will be. It is in a terrible state because I made it when I had begun to suffer my terrible breakdown of 1940. It must end here. If any publishers wish to publish extracts from it under the terms of my will they must stop here. The tenth volume can never be copied and must not be made public during my lifetime. Parts of it are too terrible and would hurt people. I have lost my mind by spells and I do not dare think what I may do in those spells. May God forgive me and I hope everyone else will forgive me even if they cannot understand. My position is too awful to endure and nobody realizes it. What an end to a life in which I tried always to do my best." I just wanted to say how much I'm enjoying these posts. I'm learning quite a bit from them. I usually read them via the feed, so I thought I'd drop by and say thanks. I'm doing a project on Lucy and I think that the information you have provided me is amazing. Do you have tips on protraying Lucy? We have to be the character. 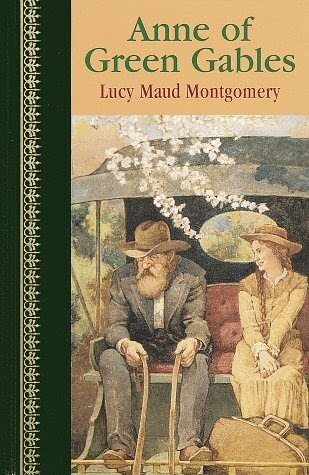 I love Maud's books and I've read everything she wrote except her journals and letters. I have fond memories of a childhood visit to PEI and seeing Maud's beautiful grave site.